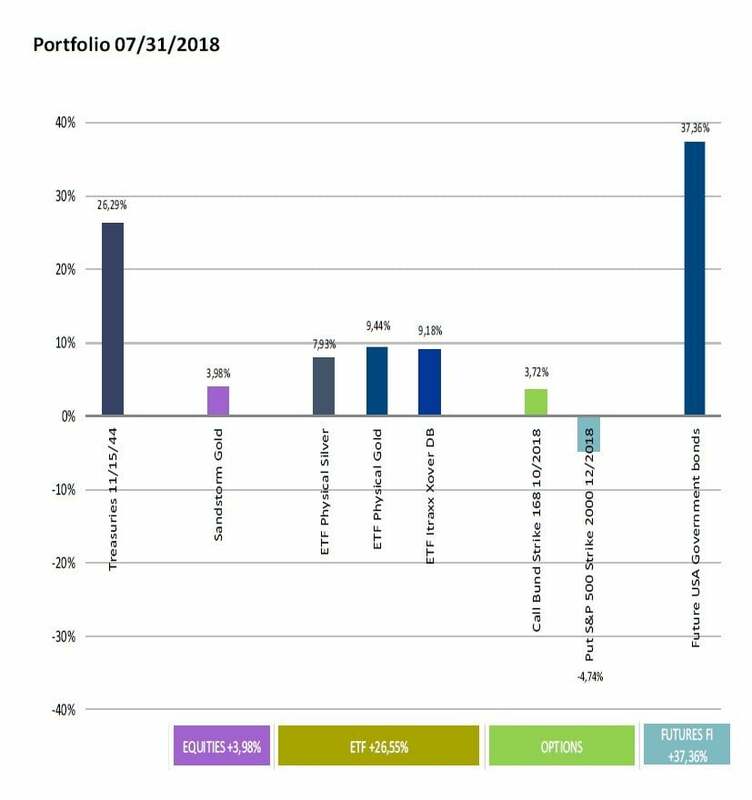 Global Allocation Fund commentary for the month ended July 31, 2018. July has been a good month for the markets, but not for all of them. While the European and American stock markets have recovered positions, losses have particularly concentrated in the Chinese stock market. It currently accumulates a fall above 20%, which, added to the loss of value of the yuan, has taken the Chinese market to the third position in market capitalization behind Japan. In August 2015, the exchanges suffered a strong correction, based on similar reasons. In that occasion, it coincided with an important decay in the credit markets, situation that for the time being, is not repeating itself. On the contrary, this month, credit markets have experienced a slight recovery, except for China, in which the riskier companies have seen their spreads increase considerably. The main cause in this occasion seems to be the commercial war, and as Chinese markets worsen, more does Mr. Trump congratulate himself from his apparent victory. On the other hand, we have known that Russia has decided to sell pretty much all of their US treasuries reserves and exchange them for gold. Likewise, in China it seems that they are not going to stop buying gold as well. Even with this, precious metals have been falling for the last two months and they therefore explain the bad numbers registered by the fund this month. While US Treasuries helped compensate these losses last month, this month they suffered a slight fall. 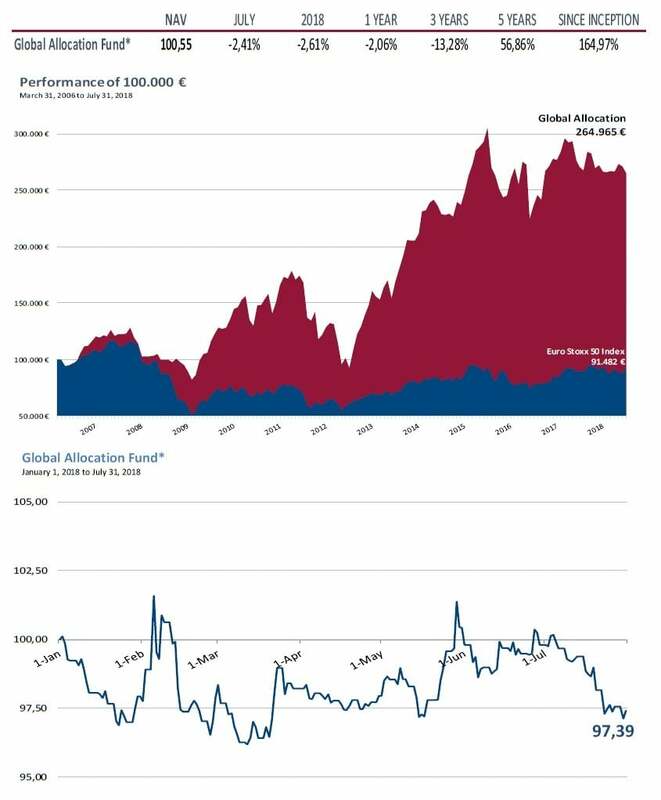 The main sellers of precious metals seem to be portfolio managers which for the first time in many years have got an accumulated short position in gold. Short exposure is also at record levels, especially in longer duration bonds in the US. We don’t still know the numbers in Europe, but we figure that short positions in 10 yr and 30 yr German bonds might be really important. 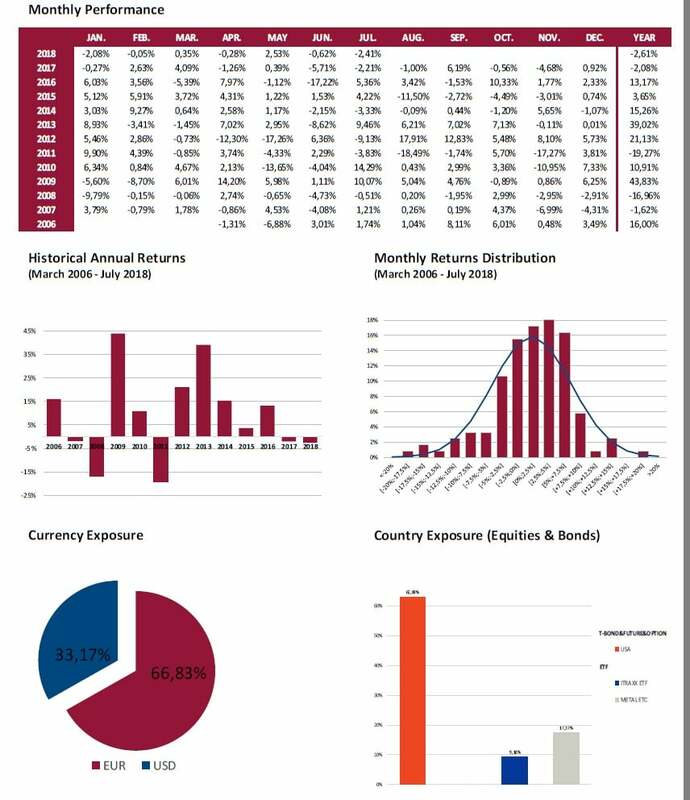 For this reason, and since this kind of concentration of positions hasn’t historically ended well, and as it occurred with the VIX at the beginning of the year or with Facebook this month (the favourite stock for active management managers), we decided to spend small amounts (around 0,15% of the AUM) in call options. This option gives us the right to buy German bonds, (nominal value of the 100% of the portfolio) until the month of October. By the way, the Italian Government bonds remain without giving signs of improvement. The savings figures remain at their lowest levels although in the US have started to slightly recover, in Spain we have registered negative figures. This did not even occur in 2007. In the US, the non-performing loans in sectors such as autos and credit cards keep rolling, in some cases, we see worse values that during the great financial crisis. Benjamin Franklin said that in order to be rich, you not only had to know how to win, but also how to save.